The Iranian government is working to allow iPhone imports in a bid to stem a growing smuggling problem in the country, reports said on Thursday. The trade ministry is requesting licenses for nine importers from the country's Trade Promotion Organization, Gulf News quoted the state-linked Tasnim news agency as saying. The latter added that to further attack smuggling, the government has been registering cellphones for the first time, theoretically preventing illegal imports from working. Despite prohibitions imposed in and outside of Iran, iPhones are said to be relatively common in the country, at least among younger and wealthier people. The government largely ignored the issue until two months ago, when it began a crackdown that has since backfired and pushed up prices. Legal iPhone sales could be tricky until the U.S. further eases sanctions, which effectively prevent not just domestic but many foreign institutions from conducting financial transactions with Iran. Importers would presumably have to buy iPhones from third parties which don't have any ties to banks operating in the U.S.
Apple might want to stem the flow of iPhones to Iran even if legal loopholes do exist. 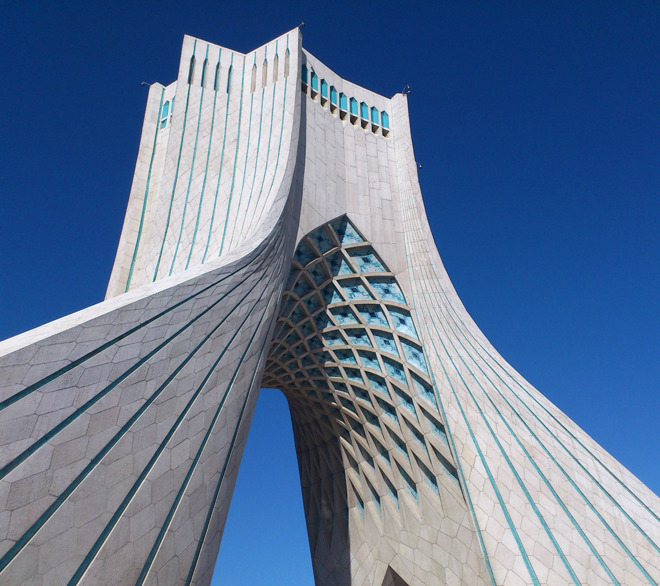 The company has been planning for a broader entry into the Iranian market once sanctions are lifted, and would likely want to avoid jeopardizing its position or being hit with unexpected fines.